Jeremy provided great service on our refrigerator repair. He arrived with the part in hand and was able to fix the problem with the ice dispenser in short order. He was very professional. thanks for the thorough explanation of our problem. 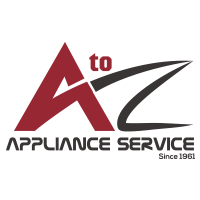 Once again, Jeremy proved to be a consummate professional and a very valuable asset to A to Z Appliance Repair. Many thanks for getting the non-working new Whirlpool washer & dryer up and running as they should have when delivered from Lowe's in Milford. Thanks for taking the time to review the work done by Jeremy. We are happy to have him on our team. 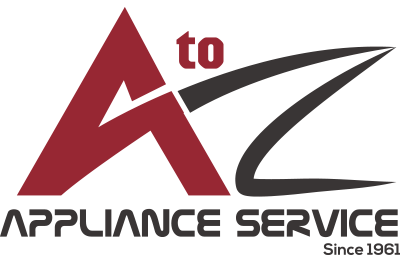 A to Z is the epitome of incredible customer service and on-site service. 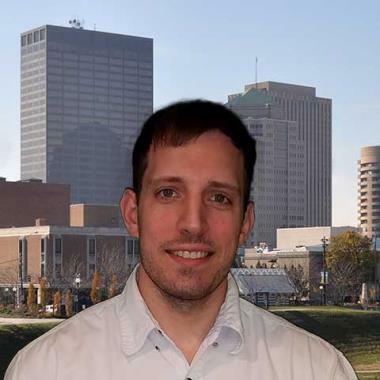 Jeremy takes pride and ownership in his work and is a valuable asset to A to Z. Whatever he is paid, he deserves more! Thank you very much for this review. 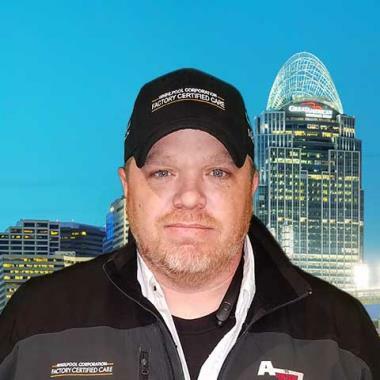 We are happy to have Jeremy on our team. Jeremy was extremely knowledgeable, friendly, helpful and courteous. Thank you very much. Our techs really appreciate being recognized for their service by their customers. 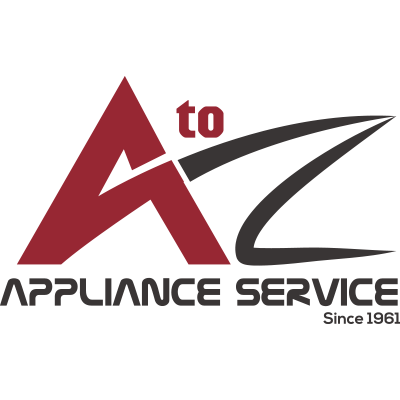 After several failed attempts from a competitor appliance repair shop, I called A-Z Appliance Repair and they fixed my dishwasher on the first attempt! Jeremy F is on my “A” list to call in the future. He knows his stuff. A true professional. Thank you. From protecting the home to getting the appliance back up and running quickly, Customer Satisfaction is important to us. 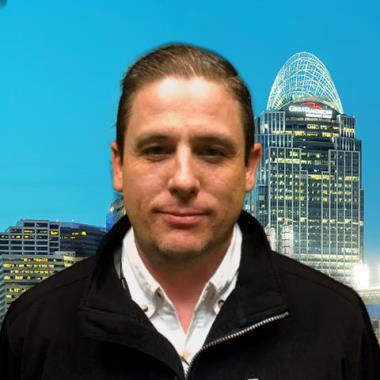 Jeremy was very professional, had my interests as a consumer in mind, gave me great advise and I wold recommend him to anyone or for anything that would enhance his career. Great service and very education on whirlpool products. I had a great experience with Jeremy as my service person. He's professional, clean, neat, precise in his work, explains the repair (good communication), and is prompt and expedient with his use of time without being rushed. I'll call A to Z again for appliance repairs. Great service. Technician was professional and friendly. Technician was on time and found problem in a timely manner. No hassle with warranty call. We suspected our fridge issue was covered under the manufacturer warranty so the manufacturer set up our appointment with A to Z. Gary came out to perform diagnostics, called the manufacturer, and discovered it was under warranty. He set up an appointment with Victor to repair the cooling unit in the freezer. Victor fixed the issue in a timely manner. Both Gary and Victor were pleasant, professional, and courteous. We would highly recommend A to Z to our friends and family. Friendly, polite, knew what was problem & how to get it fixed. Our technician was knowledgeable and resourceful in identifying an issue that had taken others months to address with no solution. Problem fixed !! RANGE HOOD IKEA IHW8305WS Installed electronic control. All sounds and testes are good. Operations are normal and unit is functioning well. DISHWASHER KITCHEN AID KUDE20IXSS8 "Checked connection at dishwasher. All checks and operations are good. Control has one led out, would need electronics if problem comes back. All functions are good now,"
BELLA KITCHENAID KRFC704FBS01 "Installed user interface, defrosted fill tube, all checks are good. Unit is filling and cycling properly at this time. Cus to observe." ALPHA - CLYDE WHIRLPOOL WFW72HEDW0 "All functions can work. And work in diagnostics. Unit is not wanting to cycle in spin cycle. Will not countdown or spin or drain. Just rotates and washing, but unit will fill drain and operate normally in regular cycle, Cus to decide on repair W11031829 control Labor - 98.75"
FRIDGE WHIRLPOOL WRS588FIHV00 Installed part. All checks are good. Unit is cycling and testing well. DAMPNER is working properly. Cus to observe. DISHWASHER KITCHENAID KDFE104HWH0 "Replaced gasket, ran through test cycle, no leaks found, checks ok."
KITCHEN WHIRLPOOL WDF330PAHS3 "Checked pump, and motor, pump, and motor is giving good readings, checked pump, and motor at control, pump, and motor are ohmng at control, checked for power to pump at control, pump is getting power, ran unit through cycle, unit is running normally, called tech line with with issue, file #7724366590, and was informed to have customer observe unit for operation, checks ok."
MICROWAVE KITCHENAID KOCE500ESS04 "Found oven was set on Celsius instead of Fahrenheit, rest oven to Fahrenheit, tested oven, oven is heating normally, checks ok."
RANGE HOOD IKEA IHW8305WS "Installed transformer. Still getting sound from unit. Control board is sitting on transformer and sound is actually coming from board. Rescheduling for control replacement, rescheduling for install. ; ordrng 1 WPW10211246 (CONTROL )"
REFRIGERATOR WHIRLPOOL WRS588FIHZ00 "Checked incoming water, checked water line at door, unit is getting water at door, checked heater, found heater not ohmng, needs door replaced to fix heater. ; rqstng P&A on 1 LW11037733 (FREEZER DOOR)"
FREEZER WHIRLPOOL EV160NZTQ02 "Installed evap fan motor, all checks are good now, unit is cooling and fan is operating properly at this time,"
BELLA KITCHENAID KRFC704FBS01 "Found ice maker not getting ice, called tech line file #7724497523, ran through diagnostic test, and found dispenser UI not sending power to heater, needs new UI. ; ordrng 1 W11330487 (USER INTERFACE )"
WASHER WHIRLPOOL WTW7040DW0 "Removed rotor, found gear case is leaking oil causing it to be ceased to inner basket, needs tub rebuild, replaced rotor due to old one was broken to get off, so customer could use unit. ; rqstng P&A on 1 W10512161 (tub asm) and 1 W10811957 (spin basket) and 1 WPW10109200 (screw) and 1 WPW10215093 (clean out filter)"
STOVE JENNAIR JGS9900 "Found burner igniter spark not igniting, adjusted igniter, burners are igniting normally, checks ok."
30" FDBM WHIRLPOOL WRF560SEYM05 "Customer said unit dispensed water for two days after I was there, checked incoming water, customer informed me of unit being on reverse osmosis system, informed customer of issue with reverse osmosis on refrigerator, customer is going to have water line put back on city water, customer to observe after change." DISHWASHER KITCHENAID KDFE104HWH0 "While delivering part, customer had complaint of door leaking, checked door gasket, and found gasket will not stay sealed on bottom right side of door, needs new gasket. ; ordrng 1 W11177741 (GASKET)"
DISHWASHER WHIRLPOOL WDF330PAHS3 "Customer had pics of leak at float switch area, checked door seal, checked float switch, found float switch was not installed correctly, reinstalled float switch, no leaks at this time, checks ok."
WASHER WHIRLPOOL WTW7040DW0 "While removing rotor to replace gear case, found rotor is ceased to gear case, and won’t come off without breaking, will need rotor before replacing gear case. ; ordrng 1 W10754161 (motor rotor)"
OVEN IKEA IBS550PWS01 "Installed both controls. Tested unit after repair, all checks are good now. Unit is displaying the proper display, all checks are good." LAUNDRY WHIRLPOOL MVWX655DW0 "W10902814 wash plate needed. Cus deciding to replace himself. All other checks are good. Cus will call If any other issues,"
OVEN WHIRLPOOL WFG525S0HV0 Ran unit through diagnostics and checked for error codes. No error codes at this time. Tested broiler element. All functions are good at this time. Unit is heating well. And baking well. Regulator is functioning well. Cus to observe. DISHWASHER KITCHENAID KDFE104HWH0 "Replaced panel, and drain hose, unit is draining normally, checks ok."
REFRIGERATOR WHIRLPOOL WRT318FZDB02 "Found freezer door is damaged by door handle, needs door replaced. ; ordrng 1 LW10668875 (dor-fip) and 1 WPW10481433 (nameplate)"
ICEMAKER WHIRLPOOL GI15NDXZS2 "Found water valve wire harness not plugged in all the way, still not cooling, called tech line file #7724462202; found start device clicking on, and off, and not turning on compressor, replaced start device, tested unit, unit is cooling normally, checks ok.; used 1 8201786 (START DEVICE) from stock"
LAUNDRY WHIRLPOOL MHW6630HW "Ran unit through diagnostics and tested for proper filling and washing off unit, recalibrated and ran through multiple rinse cycle, unit is filling good on both cold and hot valves." REFRIGERATOR WHIRLPOOL WRS588FIHZ00 "Customer complaint of ice maker not making ice, checked ice maker in diagnostics, ice maker failed in diagnostics, needs new ice maker. ; ordrng 1 W10873791 (icemaker)"
WASHER WHIRLPOOL WTW7040DW0 "Checked for error codes, found basket speed fault, ran unit through spin cycle, found bearings making grinding noise, needs new gear case. ; ordrng 1 W10811956 (drum assy)"
MICROWAVE WHIRLPOOL WOC95EC0AS04 "Checked unit for door switches working properly, opened, and closed door, found door was not being closed all the way causing light to stay on, informed customer on how door needs to be closed, tested unit, all operations normal, checks ok."
27" VMAX TOP LOA MAYTAG MVWX655DW1 "Checked gear case, checked cam, checked belt, found bolt holding cam was not installed correctly, reinstalled bolt, ran through test cycle, all operations normal, checks ok."